Our team of experts offer affordable and efficient HVAC service to keep your home or business cool during the Summertime. We can provide an air conditioning maintenance agreement that will make sure your home or office stays the perfect temperature year-round. 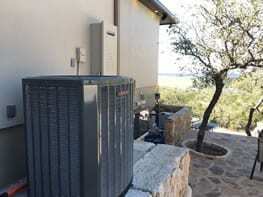 We are a Trane Comfort Specialist! Speedy Electric & AC is a Midlothian AC repair, heating repair, and electrical services company. We pride ourself on being a one stop shop that is able to meet all of our client’s needs in the Dallas – Fort Worth metroplex. Our goal is to provide the highest quality design and installation services, on schedule, and on budget along with outstanding customer service. We understand that time and cost are crucial so we strive to go above and beyond our client’s expectations. Keeping your family comfortable is one of the most essential parts of keeping them happy. Our team of dedicated Midlothian AC repair professionals are available at any time to provide air conditioning and heating inspections, cleanings, replacements, installations and a wide variety of repairs in Midlothian, Texas and the surrounding area to ensure that whatever your particular need, Speedy Electric & AC is ready to help. Our phones are monitored 24 hours a day for all of your electrical, heating, ventilation, and air conditioning (HVAC) needs. Extreme temperatures are tough on your heating or cooling system. When your AC or heater has broken down, you need help fast! If your system isn’t keeping your home or business comfortable, Speedy Electric & AC is here for you. We have over 25 years experience in the electrical, heating, ventilation, and air conditioning industry (HVAC). We believe in quality customer service. We offer a wide range of electrical, heating and AC repair services in Midlothian, Cedar Hill, Waxahachie, Red Oak, Mansfield, Arlington, Duncanville, Grand Prairie and the surrounding areas in North Texas. If you’re looking for high quality residential and commercial HVAC services delivered quickly, affordably, and with the expertise and experience you can trust, call us today to get in touch with the friendly and knowledgeable professionals here at Speedy Electric and AC! Highly recommend Jerry to anyone needing electrical work. He provided recommendations that saved us a lot of time and money on having to hire contractors to patch up dry wall after adding can lights to our office! 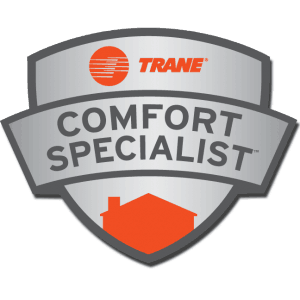 We are a Trane Comfort Specialist, offering a full line of products & equipment to fit every need & budget. Keep your home comfortable year-round! Your equipment should be routinely serviced every year before the cool air hits. This allows us to inspect your equipment for proper operation and make any repairs to components that may be worn out or not operating properly. Our phones are monitored 24/7 by employees offering you quality care when you need it the most. 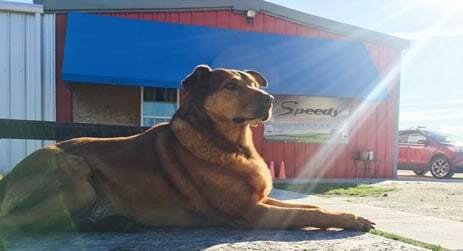 Call now to get in touch with the friendly and knowledgeable professionals here at Speedy!